It’s been another hectic week loaded with activities! Not that we intentionally want to fill up our days, but somehow things just fill themselves in! 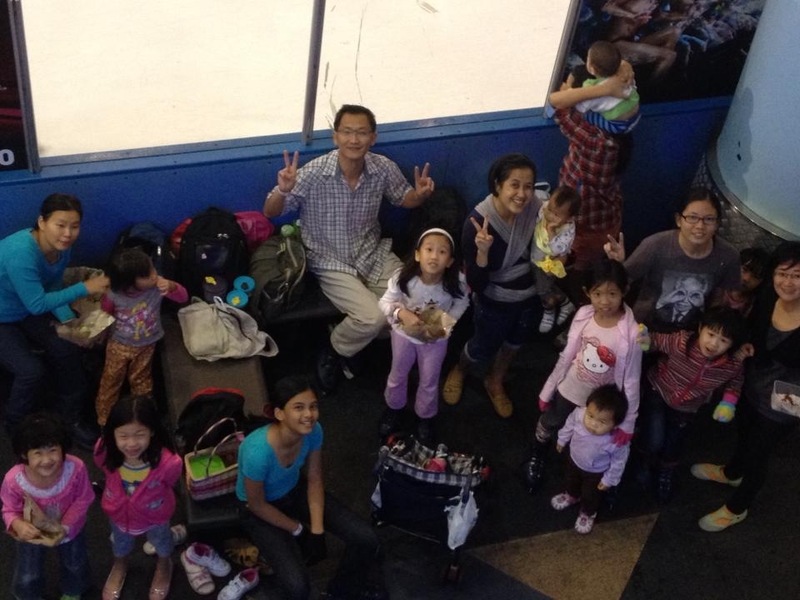 It’s Sam’s birthday today and we came up with a brilliant idea to have everyone there – an ice-skating outing where everyone will skate to their hearts’ content. All except the birthday girl who was just happy being there with everyone and having her free birthday fruit juice and having her favorite steamboat for lunch 🙂 We bought nasi lemak for everyone who came, which was heartily eaten with much appreciation as it was really fragrant and yummy! Today’s craft class with Auntie Fei Ping was making mini baskets with Angpow packets (still on the CNY theme!) 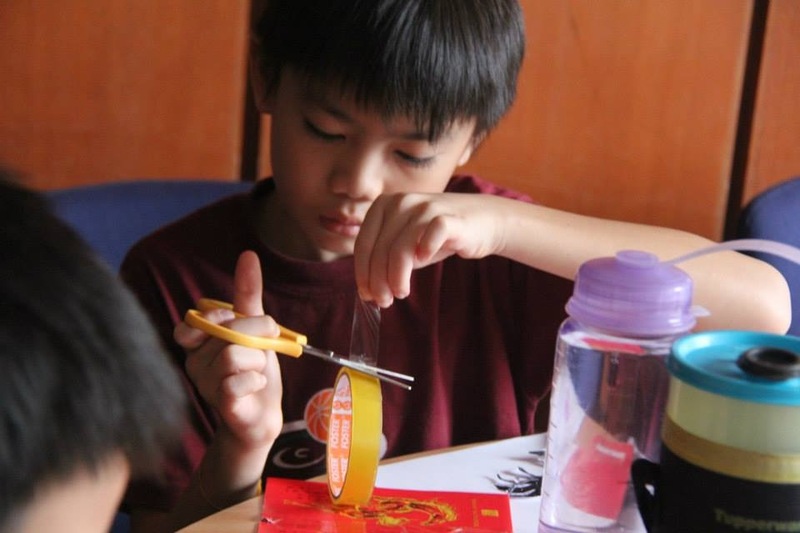 and this involved careful cutting and pasting of the red packets, which the kids did fairly well! 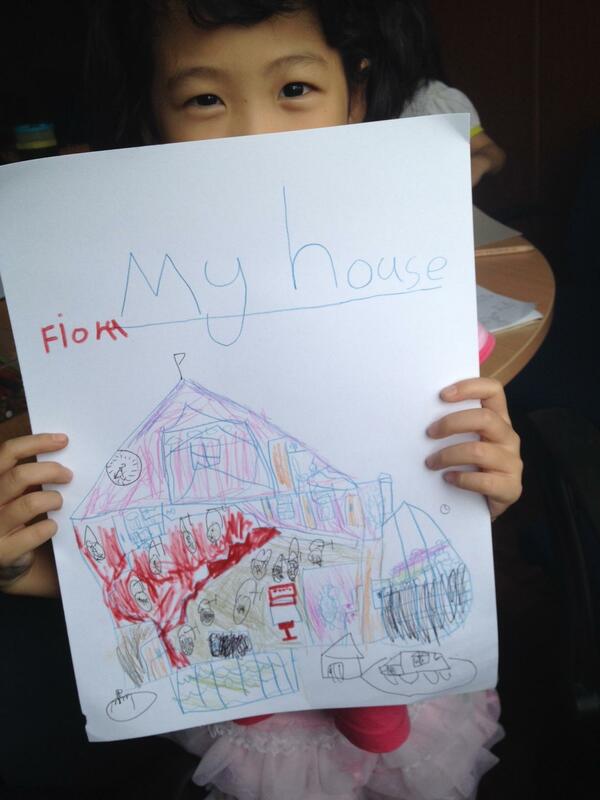 Today’s topic is “My House” where each child counts, describes and draws things found in his or her house. This exercise helps them to be more aware of their own house and to practise their descriptive skills. 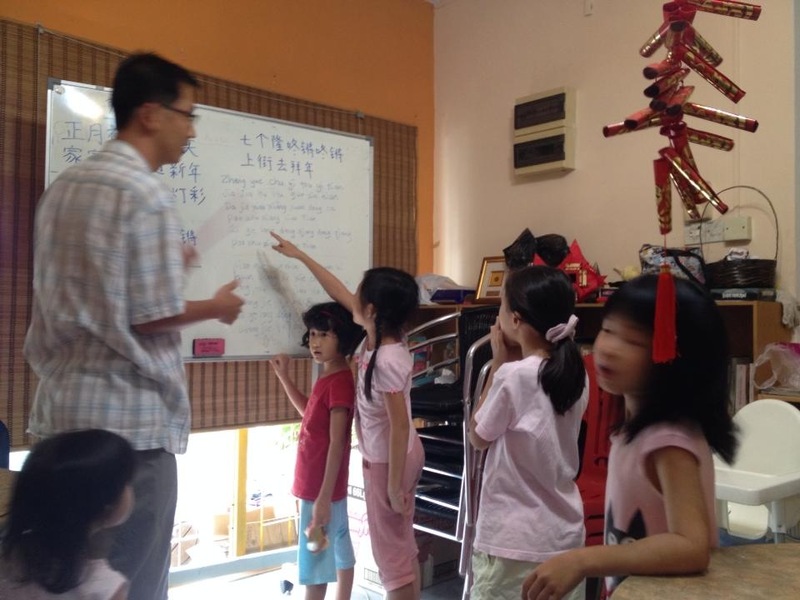 The younger ones needed more help with writing and spelling which the older ones readily provide. This is the continuation of their “All About Me” project which will be bound into individual books later. Piano class, Math class, lunch prep and Chinese class. 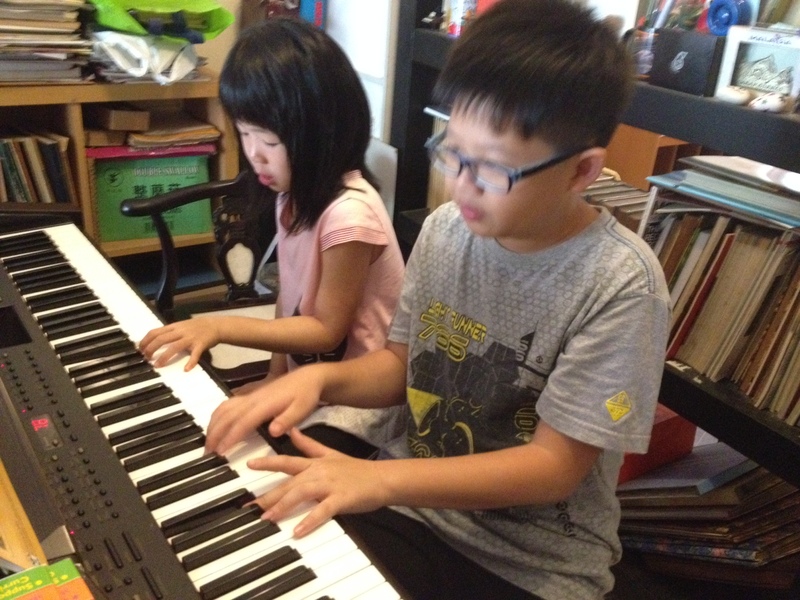 The children enjoy coming for piano classes and are showing great improvement in their playing! This could be due to the fact that the emphasis is on the enjoyment in learning and playing, rather than on exams. How do we teach Math to kids of varying age and levels? Other than games which are fun and effective, we can also give math drills for different levels. The kids can choose the level they are comfortable with. And for the more advanced students, like 11-year old Math wizard Yun Zhe, he gets to do advanced Math! The girls and boys take turns to do lunch prep and cook with their team mates. They are getting pretty good at culinary skills now! Circle time was requested by Arian, who probably felt that he needed some peace and quiet to calm his mind a little, and so everyone was gathered for quiet time. Sitting upright but comfortably, we breathed in. Being aware of our sitting, we breathe out. Sound is viewed as just sound. Feeling is viewed as just feeling. Thoughts are viewed as just thoughts. 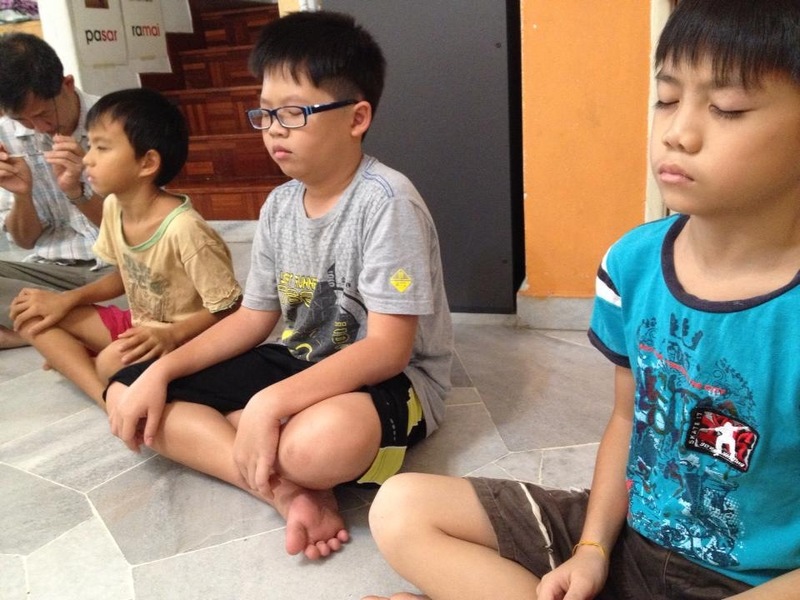 Thus, the children learn to be mindful, to be aware, but not to be affected by them. 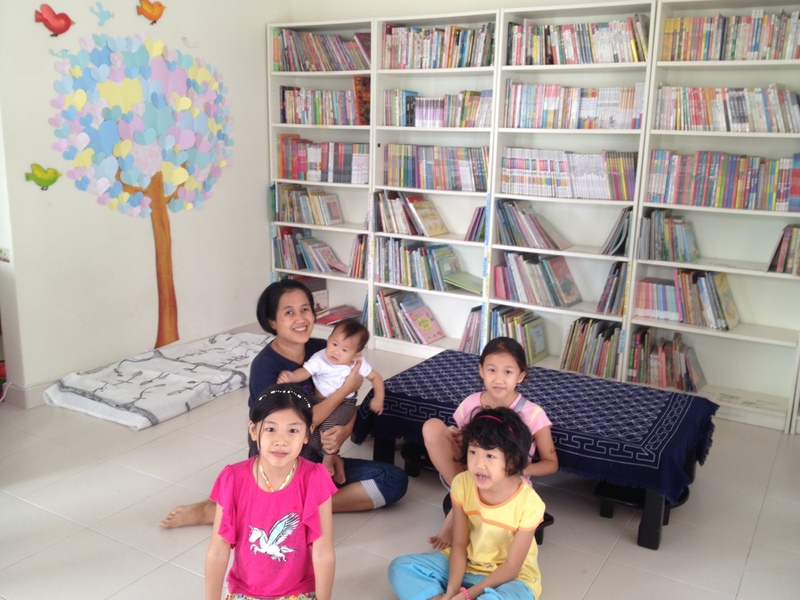 Auntie Fei Ping invited everyone to her “Little Tree House Playcenter to play of course! The kids were excited about going as they had heard so much about it! There is a wonderful library with a few thousand of children’s books. 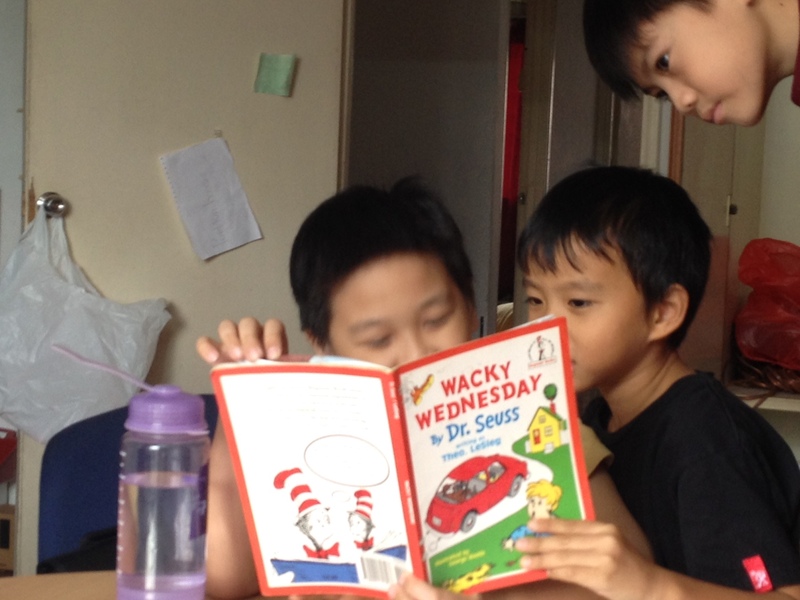 Story-telling and reading is conducted here by Auntie Fei Ping every Friday & Saturday. The garden outside is spacious with lots of space for running, playing football, water play and sand play (the sand pit is large for hours of fun play in the sun!). 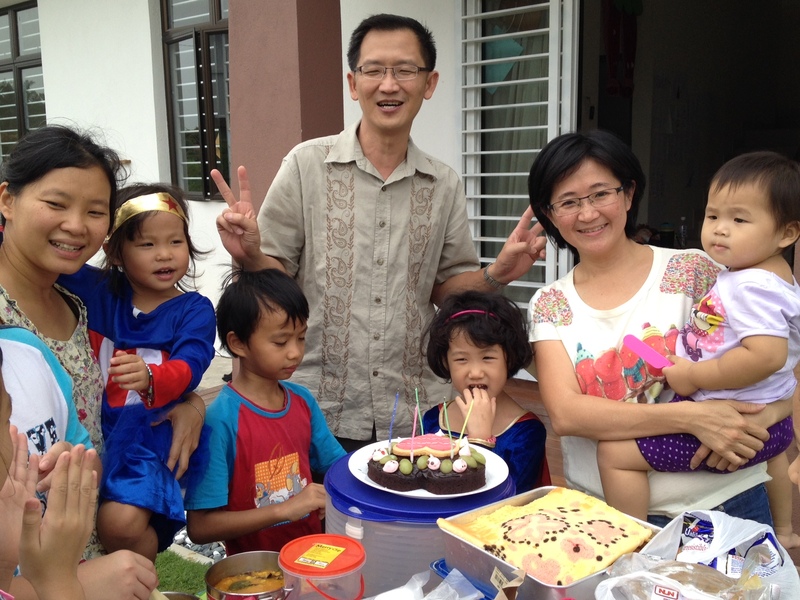 A 5-in-1 birthday celebration was in store for 5 lucky people: Uncle Chee Keong, Auntie Fei Ping & her 2-year old daughter Han Han, Xuan Yu and Fiona! The birthday cakes were provided by Amrita and Sam and a banana cake was contributed by auntie Aileen & Lewis! 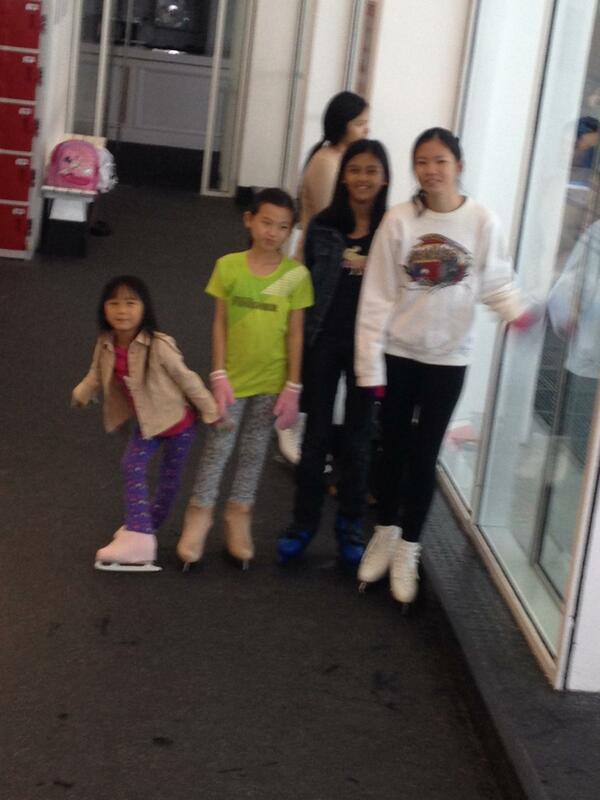 Amrita and a few other unschoolers took their skating test today. They were really excited about it and had practiced hard for it. They were ecstatic when it was announced that they had passed! A chocolate cake courtesy of the hotel was their reward! Well done girls! 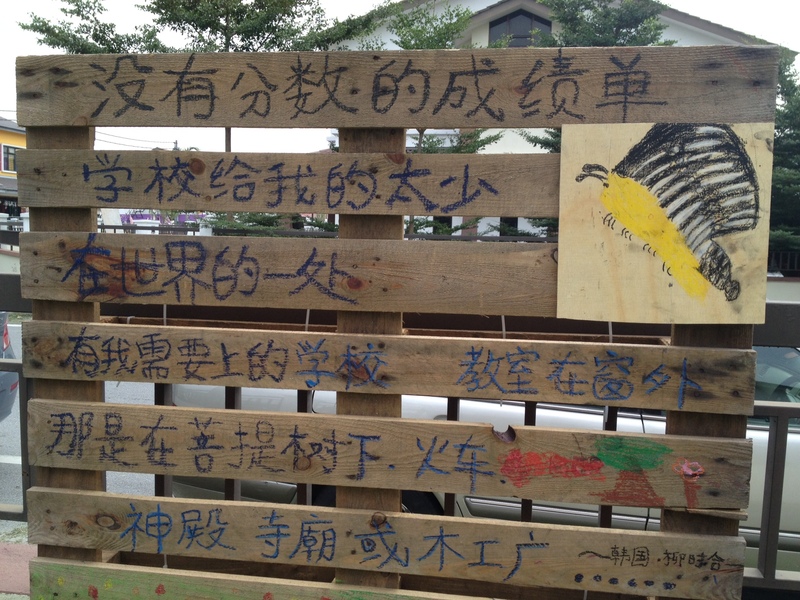 This entry was posted in Activities, Outings and Networking Activities, Programs and activities, Thoughts and Ideas and tagged Activities, alternative education, autonomous learner, children, creativity, education, homeschool, homeschooling. Bookmark the permalink.